I thoroughly enjoyed this book and look forward to more in the series. This book really shows how you do not need to be blood to be family. These men have really been through the ringer as children, from the family that should have loved and cared for them. Through everything they had been through, they came together and built a family of their own. 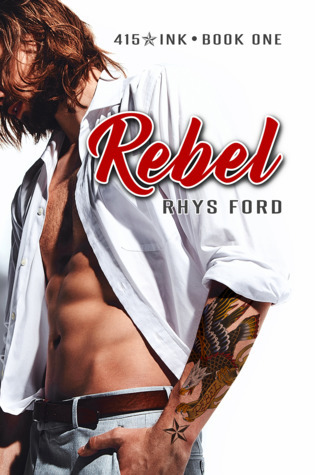 This first book of the series focus on Gus and Rey. Gus is a very troubled individual that has always ran from his problems. It has always seemed to work for him until he lost the love of his life in Rey. Rey wanted a forever with Gus but Gus didn’t know how to do that. So, three years ago, Rey ended it with Gus and Gus ran. Now, three years later, Gus has come back for good and with a shocker to his family. On the night Rey ended their relationship, Gus got drunk and actually slept with a woman. And as you’ve probably guessed, got her pregnant. Gus wants to be a dad but is scared to death. His family is shocked but are very supportive and are behind him one hundred percent. They are all ready to welcome little Chris to the family.